When visiting Samburu National Reserve, we recommend combining your safari with a visit to Amboseli, Masai Mara, Nakuru and Naivasha Great Rift Valley Lakes. You may optionally extend out to other wilderness areas of Meru or Tsavo ending with a beach vacation and Swahili cultural tour in the exotic spice island of Zanzibar or Lamu, or even Mombasa. On your arrival in Kenya, we recommend spending one or two nights in Nairobi to unwind but also to give you an opportunity to experience this diverse and thriving city. 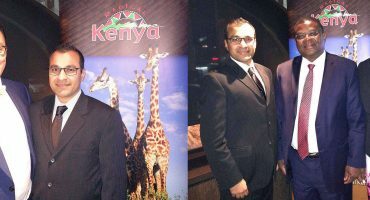 The metropolis offers many local attractions where you can learn about the history of the pioneer city and the cultures that make Kenya a unique destination for any type of traveler, as well as partake of international restaurants, shop, markets in a vibrant afro-urban scene. If you seek the graceful giraffe during your bush tour of Kenya, a stay at Giraffe Manor will give you one-on-one and once-in-a-life-time experiences with these incredible animals. The hotel maintains much of the original 1932 design while offering you all of the modern amenities you require for your stay. What truly sets Giraffe Manor apart from other travel accommodations in Kenya, though, are the resident Rothschild Giraffe that roam freely on the property and you don’t need to worry about trying to sight these creatures on its grounds as they regularly stick their heads through open windows and over balconies to garner feed pellets from AfricanMecca guests. The Palacina Nairobi is residentially located for your historical and cultural tours in Nairobi, yet the location borders the Nairobi Arboretum Park and the presidential greens of the State House means that you are not disturbed by the city noise or air pollution from the traffic vehicle. You may choose from 14 boutique suites, including 2 penthouse suites, and, for travelers on extended business in East Africa, the hotel offers the choice of one, two or three-bedroom apartments. The standard amenities in the suites and apartments include internet access, satellite television with DVD player and mini bar. Suites are designed with a comfortable and spacious floor plan that includes living room, full private bathroom and private balcony, Jacuzzi tub and front-facing balcony. Despite being sited in Upper Hill close to the heart of the buzzing Kenyan city of Nairobi, Fairview Hotel is a tranquil property laid out among acres of lush greenery. Colonial style, two story buildings are scattered around offering guests on their Nairobi stopover tour a peaceful oasis, secluded from the pulsating activities of the city. A value accommodation, the Fairview Hotel is primarily suited to business travelers, but also a small number of leisure lodgers who are passing through the city on their safari adventures in Kenya. You will proceed to Amboseli for the next two nights. Amboseli National Park is a majestic landscape where predator and prey interactions unfolds every day across the 392 square kilometers (151 square miles) of protected wilderness. The park borders Tanzania and is situated at the base of Mount Kilimanjaro, Africa's tallest peak, and the melting snow flows into underground springs that feed the swamps and wetlands that dot the plains. These water sources attract animals of all sizes, the most sought-after being– the free-roaming elephants, but you may also see elands, waterbucks, grant's gazelles, warthogs, coke's hartebeests, zebras and other grazing herbivores. The abundance of large prey supports lions, leopards, civets, wildcats and other elusive hunters, as well as jackals, hyenas and other scavengers. Tortilis Camp is situated secluded in the south-western portion of the park with spectacular views of Mount Kilimanjaro and access to its private Kitirua Conservancy. At 19340 feet, the extinct snowcapped volcano dominates the scenery and provides vital water to the plains in the park. Melting snow flows into underground springs that emerge in wetlands and swamps that attract an abundance of prey, predator and avi-fauna. Most of the guest accommodations are twin or double tents, but for families on an adventure travel in Kenya, the camp also offers a family tent and a two-bedroom boutique, private house. The makuti-covered tents are constructed of canvas with a thatched roof, and the open insect-proof windows allow fresh breezes to keep you cool during the day and to allow daylight in. The private house features a separate sitting and dining area, and the veranda is one of the finest places on the property to see Mt. Kilimanjaro. Tortilis also have a swimming pool to cool off from the warmth of the day and offers massage, pedicure and manicure bush services – great for vacationing honeymooners who want some coddling. As part of the “Out of Africa Collection” of camps in Kenya, the Maasai partnered Satao Elerai is a 17-room boutique accommodation for your exclusive, luxurious wildlife safari in Amboseli National Park. Set within a remote section bordering the southeastern portion of the park, the nostalgic neo-design of the accommodation is reminiscent of the camps that were used by Kenya’s earliest explorers, and the hillside location gives you breathtaking views of the savannah plains and mighty snow-capped peak of Mount Kilimanjaro. 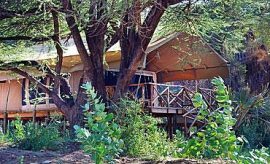 Advantageously, the camp is located in the private conservancy of Elerai thus affording AfricanMecca guests access to nature walks, Maasai village visits and night game drives within the dense conservancy. Constructed of acacia poles, cedar wood floors, thatch roof and other native materials, the 12 tents evoke the boutique romance of East Africa with unobstructed views of Mt. Kilimanjaro while the 5 chalet-style guest suites are designed with natural stone and acacia wood, and feature ensuite bathrooms with bathtub, as well as private verandas with a shrubland view. Set in the heart of Maasai life on the scenic African plains and in the shadow of the largest, free-standing mountain in the world, the legendary Mount Kilimanjaro, Kibo Safari Camp is a huge, non-frill abode to stay as part of your wildlife vacation in Africa. It can take in over 150 guests on a full-house so expect personalization of services to be at the bare minimum. On arrival at the camp, your budget holiday in Africa starts with a modest welcome cool towel and juice drink to refresh you following the warm, dusty journey to the site. 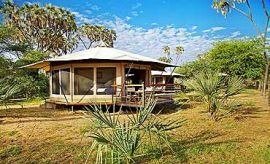 The wilderness bush and environmentally conscious camp structure and furnishings blend with their surroundings to provide a relaxing and peaceful atmosphere. 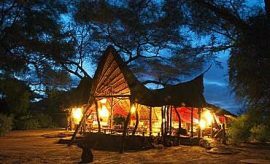 Kibo Safari Camp has a total 73 canvas tents with a thatch roof to protect it from the heat of day, and options of double or twin, triple and family rooms are on offer. Each self-contained tent has an in-shower, sink and toilet, limited hot and cold running water and variable rationed electricity that operates only for few hours during the day and night. Proceed to Samburu National Reserve for the next three nights. Enjoy a quintessential Kenyan northern safari with unrestricted access to authentic rugged East African wilderness. As you travel through Samburu, the diverse terrain transitions from rolling plains to volcanic remnants. The vegetation is concentrated along the Ewaso Nyiro River, the primary source of water in the reserve. You may not expect to see wildlife in such a stark landscape, but Samburu is home to an abundance of animal species. The most notable and sought after are known as the Samburu Special Five – Somali ostriches, Grevy’s zebras, gerenuks, reticulated giraffes and Beisa oryxes. More common mammals are Grant’s gazelles, impalas, waterbucks, dik diks, olive baboons, elephants, warthogs, hippos and carnivores, including lions, cheetahs, crocodiles, leopards, to name a few. Sitting on the crown of the hill, in the midst of the private Kalama Conservancy within the Samburu wilderness, the Saruni Samburu offers you magnificent views of the surrounding landscape with the lofty Mount Kenya dominating the horizon. Kalama Conservancy, adjacent to the north of Samburu National Reserve provides a premier and exclusive stay-over for your dream vacation in Kenya with AfricanMecca. 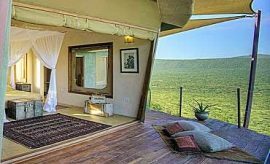 This luxury lodge is built around the natural rock of the hill and its living spaces incorporate canvas, tree trunks, stone and other fused materials to create an elegant lounge in the main Kudu House and guest villas. Each of the boutique structures is erected in such a way so as to face the breathtaking scenery all around. The lodge also has two swimming pools, one of them being an infinity pool with comfortable lounge chairs for utmost leisure and relaxation. Saruni Samburu has 6 luxury villas that can be reached from the main house with a short walk over stone pathways. 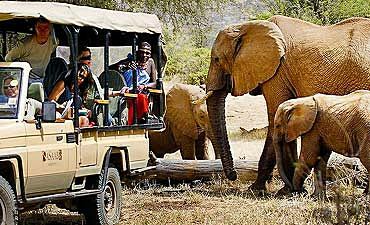 Elephant Watch Camp is a deluxe accommodation for discerning AfricanMecca guests traveling in northern Kenya who have a love for elephants. The camp is owned and run by Oria and Iain Douglas Hamilton and their daughter Saba - the crusaders for elephant preservation in East Africa. Everywhere you see, you will be touched by the efforts the camp has taken to ensure that they leave a minimal impact on the fragile ecosystem of Samburu. Only naturally occurring materials like grass, mud, dead tree branches and trunks were harvested to build the rustic structures that have a unique charm about them. Within the tents, you will find a reflection of the vibrant personas of the Samburu tribe. A rainbow of colors delights your senses as you take in the colorful bed linens, woven mats, cushions and hanging decorations with their enchanting patterns that leave a memorable impression. The main house is an expansive structure with a comfortable lounge and dining area. It also has a small library from where you can choose books. As you drive into Samburu Sopa Lodge on your wilderness holiday in northern Kenya with AfricanMecca, it will seem to you like Samburu village houses have been replicated in its architectural designs. The warm color scheme of the golden earth and the yellows and browns of the arid landscape along with the ochre of the stone tiles on the floor are stunningly handsome. Traditional Samburu art adorns the walls and the lodge’s remarkably shaped buildings with their open, curved entrances make you beam at their ingenuity. The lodge has thirty individual guest cottages each comprising of two rooms totaling to 60 rooms. These cottages are arranged in a rough semicircle around a central semi-arid watering hole where animals come to drink during the day and night. Spend time on your serene vacation in East Africa reveling in the tranquility broken only by the calls of birds and mammals. Proceed to the alkaline Lake Nakuru and freshwater Lake Naivasha in the Great Rift Valley for the next two nights. Lake Nakuru National Park is a must for your central Kenya tour. See firsthand one to two million lesser and greater flamingos dip their curved bills into the warm, soda water of the lake to extract their favorite food -- special algae that are found in abundance in the unique lake. The most prominent wildlife in the park includes 56 mammals and 450 bird species. Exploring Lake Nakuru Park is an opportunity to see many of Africa's most prized fauna in a natural and beautiful setting. Resting at an elevation of 1890 meters is the serene freshwater Lake Naivasha, a superb oasis to include on your exploratory holiday in Kenya. Just beyond its shores are papyrus swamps, acacia woodlands, forests and unique geologic features that are remnants of the area’s volcanic past. The nutrient-rich soil is fertilized by an abundance of water, including the Gilgil and Malewa Rivers, to create an ecosystem that is known around the world for a diverse avian presence, as well as game animals. More than 450 bird species have been identified including varied small and large mammals. Lake Naivasha is a RAMSAR site, a designation that reflects the ecological importance of the wetlands around the lake. 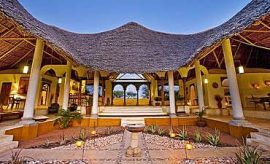 Just less than three hours travel by road or twenty minutes by air from Nairobi is a place that gives you a taste for Kenyan country living – Loldia House. 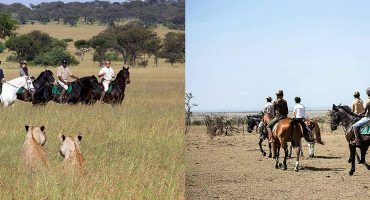 Enjoy a personalized holiday in central Kenya at the 6500-acre working farm set on the north-west shore of Lake Naivasha, a freshwater oasis in the magnificent Great Rift Valley. The colonial masonry architecture reflects an early settler style that luxuriously extends into the indoor common areas and 9 guest rooms. The four double en-suite rooms in the Main House feature muted color palettes that brilliantly accentuate the understated elegance of dressing tables, thatch and corrugated roofs, nightstands with lamps and chairs. Most rooms are positioned to provide views of the wild grounds and lake upon wakening, and private outdoor verandahs with lounging chairs invite quiet relaxation and conversation with a glass of wine. Spend the morning with an experienced guide that takes you to see hippos, zebras, elands, giraffes and other large mammals. Located at the border of Lake Nakuru National Park, Flamingo Hill Camp, a deluxe accommodation, gives you a front row seat to one of the most spectacular avi-fauna performances in the world! Each year, one to two million flamingos arrive at the lake to feed on the algae that flourishes in the warm alkaline waters. Watching the long-legged, pink-plumed lesser and greater flamingos wade around looking for food is interesting, but when all these birds take flight, the show really begins! The spectacle has made Lake Nakuru a favorite East African travel destination for wildlife photographers and nature filmmakers. While back at the camp, you are offered 25 guest tents in a homely, welcoming setting to ensure you have a comfortable and serene tour of Lake Nakuru with AfricanMecca, and the attentive staff are very helpful and responsive to your needs. Guest tents are situated amidst landscaped campgrounds with views of the surrounding flora, trees and valley. Elsamere is the one accommodation in Lake Naivasha that has an air of history and preservation about it. This is home where Joy and George Adamson spent their vacations and the later years of their life. Converted into a Great Rift Valley accommodation for value guest traveling in East Africa, Elsamere revives “Born Free” memories of the 1960’s and is famous for the European-style high teas that are served even today. The property houses a museum that preserves several items belonging to the Adamsons such as paintings, literature and other mementos from the movie that was adapted from the novel Elsa the Lioness. 10 rooms are located in single-story cottages with a portioned patio, overlooking the lake. Some of the lodge's rooms have a double bed while others have twin and triple beds making Elsamere an ideal budget accommodation for families sharing rooms. The cottages have names that bring back memories of Joy Adamson's pets, Pati (rock hyrax), Pippa (cheetah), Penny (leopard) and Elsa, the legendary lioness. You will proceed to Central Masai Mara for the next two nights. For our adventurous, thrill-seeking guests who desire a front row seat to the crossing of the Mara and Talek Rivers during the wildebeest migration season, the most well-known part of the Great Migration, we recommend the central zone of the reserve. 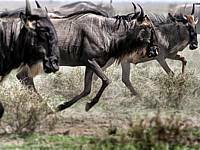 Central Masai Mara is also a year-round game-viewing mecca with impressive populations of herbivores and predators which remain even after the spectacular hordes of wildebeests and zebras have gone. 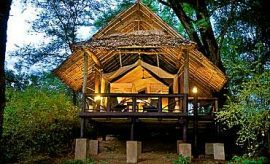 Naibor Camp is an upmarket accommodation that is located along the Talek River, a superlative location for your boutique tour experience in central Masai Mara National Reserve. Being tucked away in the riverine forest that surrounds the camp makes you feel completely enveloped by some of Kenya’s untouched wilderness. The feeling is further enhanced by the proximity to wallowing hippos, crocodiles and other animals that are just meters away. With such an ambience, Naibor Camp is the perfect place to unwind and recuperate during your high-pace African safari activities. The camp is divided into three areas, and each area offers distinct facilities i.e. Main Naibor, Little Naibor and Naibor Wilderness. Naibor is a premium accommodation, so you are also treated to impeccable service by a staff that takes pride in helping guests feel at home. Their personable natures, excellent knowledge and outstanding professionalism exceed your every expectation. Main Naibor offers 7 guest tents with king size beds built from native fig wood, luxurious sofas, contrasting rugs along with other fused classic-modern design elements. A blissful wildlife vacation in Kenya with AfricanMecca awaits you at Rekero Camp, a deluxe accommodation that is situated on the banks of the Talek River in the heart of Masai Mara National Reserve. The wilderness is known internationally as a premier destination for authentic African plains safari experiences, and Rekero captures the romantic and adventurous spirits of our guests. The entire camp is designed to celebrate the beauty of the Mara ecosystem with minimal environmental impact. All structures are under canvas, including a mid-size dining tent under shade trees and a small lounge area that rests upon a platform with incredible river views. 9 guest tents allow for a maximum of twenty guests, so you are assured the benefits of an exclusive Masai Mara tour, such as personalized service, exceptional food, immaculate tents with few in-camp guests, top notch personable guides and much more. The décor of your tent enhances the subtle romantic ambience of the setting through a tasteful use of natural blonde woods, neutral colors and rich fabrics. For your modest bush travel in Masai Mara, we recommend Entim Camp located inside in the heart of the reserve. Situated at the meeting point of the Talek River and Mara River, the camp offers a secluded setting, fitting location for activities, palatable food and adequate service. Each of the 10 non-frill tents has the necessary furnishings that you need for a comfortable East African safari overnight stay, such as beds constructed of local wood, storage chest, nightstands, bedside lamps and curtains over the windows. Nature’s beauty is brought indoors with decorative fabrics and accents in chocolate brown, rich gold and bronze, burnt red, sage green, hints of white and many other contrasting colors. Your private verandah has safari-style chairs and a small table where you can enjoy some private game viewing and moments of complete relaxation. Your guest tent is set up to give you views of the river together with supplemented sounds of wildlife traveling to and fro, including hippos, elephants and other herbivores, as well as lions, hyenas and some other predators. After your stay in Central Masai Mara, you will proceed for two nights to a private conservancy in the northern, eastern, southern or western regions of the main reserve along its border, which serves as wildlife management buffer zones. Each conservancy is founded upon a mutually-beneficial collaboration between landowners, conservation organizations and guest camps. 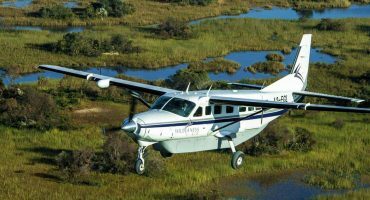 The private-ownership status of the conservancies also means that a greater variety of safari activities are offered to guests, many of which are restricted in the main reserve. The northern Masai Mara zone is comprised of six conservancies – Mara North, Olare Motorogi, Mara Naboisho, Ol Choro Oiroua, Ol Kinyei and Lemek. Each conservancy offers our guests unique accommodations, as well as incredible experiences in one of the world’s most pristine wilderness areas. The eastern zone of Masai Mara offers accommodations in the private Siana Conservancy as well as in the main reserve. We advise our guests that this area has the highest density of camps and lodges when compared to other zones, with the exception of Leleshwa Camp and Mara Bushtops that focus on high-quality Siana wilderness experience. The southern zone of Masai Mara has the lowest density of guest accommodations when compared to the other zones. As a result, you enjoy a secluded experience in the remote bush country of the reserve and Olderikesi Conservancy. Cottar’s 1920’s Camp and Cottar's Homestead are extraordinary choices for our Tier 1 premier guests. After this distinct safari, we recommend a combination off-beat extension to Tsavo, Shimba Hills or Meru in Southern and Eastern Kenya depending on your safari activity and wildlife preferences. Thereafter, harmoniously conclude with a beach rest and relaxation visit to the Eastern coast of Kenya with varied seashore, cultural and historic experiences available, including the Swahili islands and beaches of Mombasa (Diani, Galu, Tiwi, Nyali, Bamburi), Lamu, Malindi, Watamu, Kilifi, and the secluded Msambweni coast, idyllic islands of Funzi, Chale or also Zanzibar, off the coast of Tanzania. The options are endless! Located in northern Kenya, the private conservancies of Laikipia represent an outstanding model of wildlife management that provides AfricanMecca guests with a distinctive safari vacation in Africa. The varied conservancies are home to the second highest wildlife density in Kenya, and while many other areas are experiencing dwindling populations of animals, Laikipia is recognized for its ever-increasing numbers of wildlife, including threatened, rare and endangered species. Guests who visit Laikipia during their bush travel in Kenya will not only see the Big 5 roaming freely, but also black and white rhinos, African wild dogs, Grevy’s zebras, reticulated giraffes, Jackson’s hartebeests and other rare species. One of the greatest advantages of visiting Laikipia during your adventurous tour of Kenya is an opportunity to view an abundance of wildlife while partaking of activities that are restricted in national parks in Kenya. These activities are further enhanced by the low number of other guests due to limited rooming capacity at the sub-conservancies, making Laikipia the perfect choice for those who desire an exclusive African safari experience. Dependent on where you are staying in Laikipia, activities include game drives, bush walks, horseback riding, camel walks and camel rides, aerial helicopter and bi-plan safaris, village visits and much more. With a history that spans over decades, we recommend as our preferred Lewa Conservancy in Eastern Laikipia, as one of today’s most successful conservancies in Kenya. Chyulu Hills National Park is a striking landscape of emerald green hills, open vistas, winding rivers, dense forests and pools of water with reflections of white clouds in azure blue skies. Remote and wild, the park and surrounding conservancies are largely untouched by humans with the exception of the Maasai warriors who protect and depend upon the land. Described by Ernest Hemingway as "The Green Hills of Africa," this Kenyan treasure is not known as a big game destination, but rather, it is one of the few places where you will find almost no signs of tourism, lending to the surreal sense of isolation amidst surrounding resident fauna. Tsavo West National Park shares its northeast boundary line with Tsavo East National Park, and together these two park form one of the world’s largest national parks. Prominent natural landmarks include Mzima Springs in the northern region of the park including the Shetani lava flow. In Tsavo East National Park, you will be welcomed by immense savannah plains dotted with thorn bushes, stands of acacia trees, scrublands and woodlands along with the Athi, Galana, Tsavo and the seasonal Voi Rivers weaving their way along the landscape. Take a front-row seat in a custom safari vehicle in Tsavo to watch the natural behaviors of leopards, cheetahs, mane-less lions and other predators stalk impalas, gazelles, elands, wildebeests, zebras, fringe-eared oryx, dik-diks and other prey animals from the cover of dense bush and deep shadows. This immense action unfolds against a vigilant backdrop of grazing and foraging elephants, giraffes, buffaloes, rhinos and other large herbivores. Walk under tree canopies filled with scampering vervet monkeys, baboons and other tree dwellers. Just 20 miles from the island of Mombasa is Shimba Hills National Reserve, a small wilderness that offers spectacular vistas and wondrous waterfalls amidst an equatorial forest. The landscape is shrouded in mist and clouds during the early morning hours, creating a mesmerizing setting for a superlative African equatorial vacation. The highland climate nurtures over 1100 plant species that attract a diversity of wildlife, such as giraffes, elephants, zebras, bushbucks, Harvey’s duikers, to name only a handful of the animals that feast upon the vegetation. Within the forests and jungles you may locate Syke’s monkeys, colobus monkeys, vervet monkeys and other tree climbers. While there are no large predators in the reserve, you may spot hyenas, serval cats, civet cats and other smaller carnivorous hunters. The list of species continues, as the reserve is home to more than 230 types of avi-fauna. Even the smallest denizens are well-represented, with more than 295 butterflies joining many other insects. These tiniest of creatures, as well as small mammals, support a healthy population of frogs, geckos, lizards, pythons and other reptiles and amphibians. The most-desirable animal, though, is by far the sable and roan antelope. 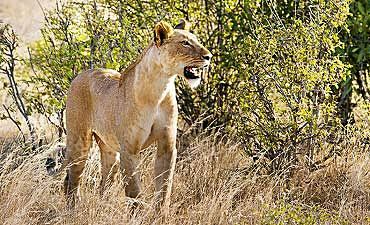 Meru National Park is famed for its acclaimed setting of the book and movie "Born Free" by Joy and George Adamson. Your adventure in Meru begins as soon as you arrive. As you travel through its coarse roads, you will be struck by the rich canvas of colors and landscapes that the park displays. The earth is a vibrant rust-orange that offsets the lush green trees and vegetation of Meru. Trees like baobabs, acacia, doum palms and commiphora dot the expanses and the 13 rivers of Meru add a brown-green hue, their banks fertile and jade. The grasses of the plains are a sandy golden providing effective camouflage cover for the tawny lions, cheetahs and leopards that lurk in them, looking for a strategy to catch a prey meal of elands, zebras, reedbucks, waterbucks and more. Both white and black rhinos can be seen here that have been translocated from other wildernesses along with resident herds of elephants and buffalos.More than 300 species of birds thrive here and the rivers are rich with catfish and tilapia which in turn support a diversity of fish-eating birds like kingfishers, fish eagles and fishing owls. The contrast of soft white sand and azure blue water lulls you into the enchantment of Kenya’s many beaches and islands. Each beachfront setting offers a unique experience to suit the personal style of every guest. Bury your toes in the soft white sand while watching soothing waves lap the shoreline. The aquamarine water of the Indian Ocean stretches as far as the eye can see, meeting the baby blue sky on the horizon. A lovely cocktail refreshes your spirit like the breeze in the swaying palm trees. The beaches and islands of Kenya melt away your every concern and rejuvenate your body, soul and mind. Below the Indian Ocean surface is a breathtaking world of marine life. Kenya is, in fact, home to some of the world’s greatest dive sites, including the second longest barrier reef on the planet. You can experience scuba diving, snorkeling, water skiing, kitesurfing, boating and angling for marlin, sailfish and other large game fish. Complement your beach vacation with Swahili historic and cultural experiences in Mombasa, Lamu, Malindi, Watamu and Kilifi. We recommend Sasaab, Saruni Samburu and Elephant Bedroom Camp to guests who desire the best location and guides, luxurious quarters with elegant design elements, limited number of boutique rooms. Explore the natural beauty at Samburu during your bush trip to Kenya. The reserve offers a high diversity of flora and fauna, both large and small, which you can discover in its striking landscape. The long dry season from July to October is the best time to visit Samburu. You enjoy sunny, blue skies with almost no rain. Water sources are limited so the animals congregate along the Ewaso River.